Members from the Student Activities Board with Kazual. On February 7 the all male A cappella group, Kazual, visited California University of Pennsylvania to grace students with an unforgettable performance. Kazual, made up of three brothers and a cousin, started out singing together in church. The group sings all genres of music ranging from country to R&B. Kazual performed a mix of old school, top 40, and originals of which the audience seemed to love the most. Many people have exclaimed that what they love about Kazual the most is that their show is very diverse covering all genres of music for all people and age groups. Later in their career, Kazual became semi-finalists on America’s Got Talent. Although they did not win the show, they have made a name for themselves. They perform at colleges across the nation, theatres, performances centers, fairs and festivals. The group also had an appearance on the Maury show and has won a Georgia Music Award for Best R&B group. Most recently received they won the prestigious award from Campus Activities Magazine for Best Music Performers in 2015. Kazual also has opened for artists such as Beyoncé and Nelly. 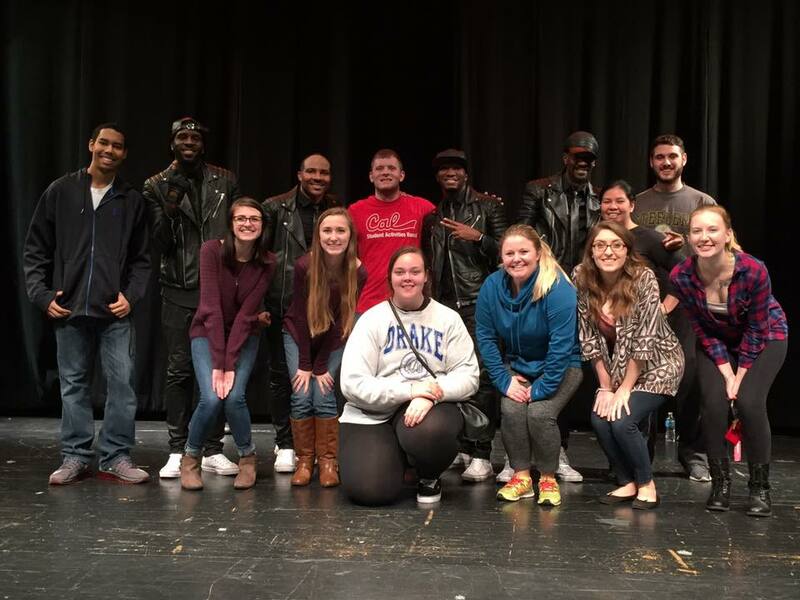 Kazual likes to call their concerts a “Kazual experience” and started out the show by explaining how they do their shows, which is different from the traditional A cappella performance. They begin with music to get the audience in the mood, and then switch to complete A cappella. The group also dances simultaneously. Their sophomore album “Back From The future” is available for sail at worldwide via www.cdbaby.com, iTunes, Amazon, and all digital retailers as well as streamed on Rhapsody, Soundcloud, Spotify, and additional digital streaming sites.